Kitanda’s Cheese Bread is a unique savory house specialty that is naturally gluten-free, yeast-free and non-GMO. Made of tapioca flour (also known as manioc starch) and delicious mixes of cheese, this little guy is a great snack option for any time of the day. At Kitanda, our Cheese Breads are baked according to demand several times daily to guarantee the perfect texture and freshness. Its texture is slightly crusty on the outside and satisfyingly chewy on the inside. No need to say that this is one of our favorite menu items! Try it with a Brazilian Latte! In Brazil, the pão de queijo or cheese bread is a very popular breakfast and snack option. It is a must have in every home and can be also easily found in grocery stores, bakeries, coffee houses, and even street side stands. Usually, one of the first things you will most likely hear when visiting a Brazilian home is: “Can I make us some fresh cheese breads and coffee?” Yes, coffee and cheese bread is a big deal! 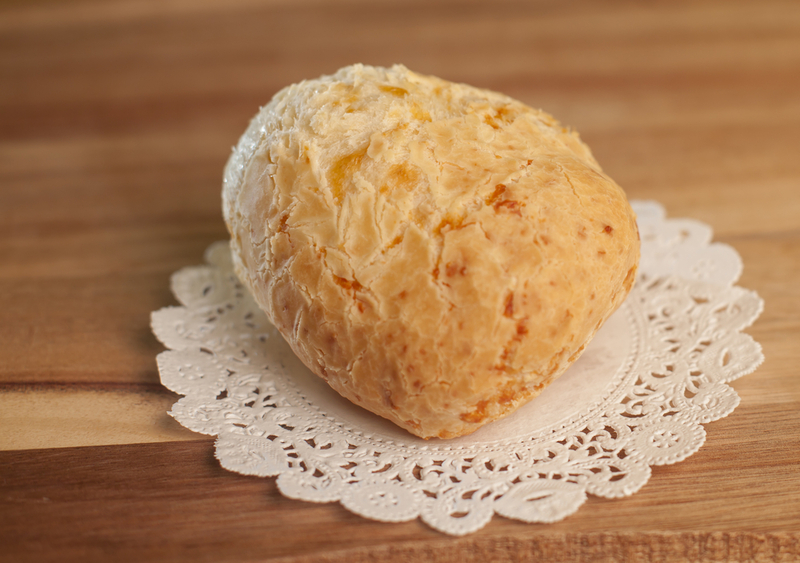 Although the origin of the cheese bread is not completely certain, people from the state of Minas Gerais take great pride for pioneering recipes that became popular in the entire country. With newfound popularity, new ways to consume it also arose. In addition to eating cheese bread plain, people use these amazing buns to make little sandwiches or sliders, stuffing them with a variety of things such as spreadable cheese, meats, and even sweet fruit fillings. At Kitanda, we have developed our own recipes made of 100% natural ingredients in addition to traditional recipes, and we select the finest cheeses to guarantee an authentic and original taste.